These are some of my work in illustration and commercial art. For a time I was so engrossed with realism, which kind of confined my over-all approach to pop art. But nonetheless, while I was doing all these I was also painting my surrealistic oils in a somewhat parallel but totally different universe. Go to My Paintings to view my work in oils. KISS Drummer Eric Carr (R.I.P.). 10" x 15", brushed charcoal on textured paper, August 1991. 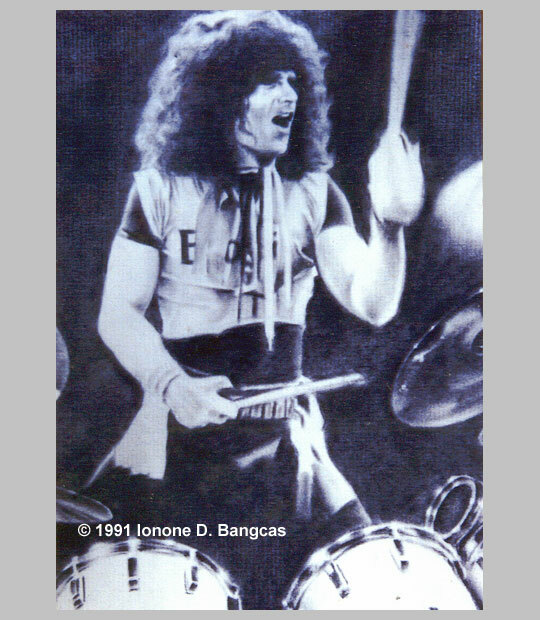 Eric Carr died of heart failure three months after this picture was done, a sad event for all KISS fans. One of my last works in charcoal, which I was kind of so hooked on in high school--but made a lot of money of, doing portraits, before I got into college. After a few months in art school I stopped using charcoal, considering it to be a lowly pop art-associated medium. Well, I don't know about that being lowly but all I know is I love textured artwork more than the smooth look of charcoal. I consider smudging and all other 'smoothing' techniques cheating. You've got to deal with what you've got, be it a pen, pencil, or marker while you are sketching. The way lines are done make a lot of difference for the look of the drawing. That's why it's called sketching, not painting. Be creative in covering a lot of shaded areas without resorting to smudging. Bite me, but that's just me! MiG-25. 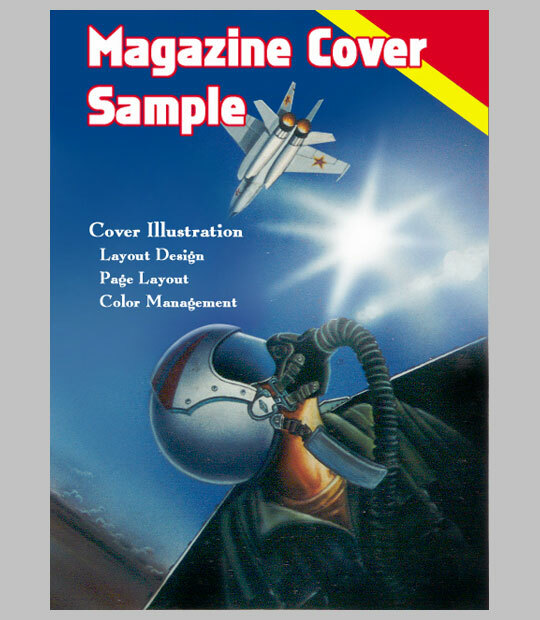 10" x 15", airbrushed poster color on bristol board, January 1993.My obsession for military aircraft during my teens--because I grew up during the Cold War era--is reflected in this magazine cover mock-up for a project in art school. This was not based on a photo. The idea came from a similar illustration done by an American artist in the mid-'80s, which I hadn't seen since 1988. So you could say this was totally imaginary. Porsche 911. 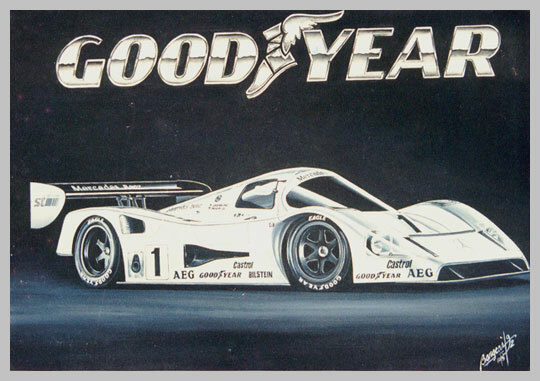 15" x 20", airbrushed poster color on bristol board, March 1993. Detail from an illustration I did for a full layout project in Advanced Advertising Layout in art school. F-15E Strike Eagle. 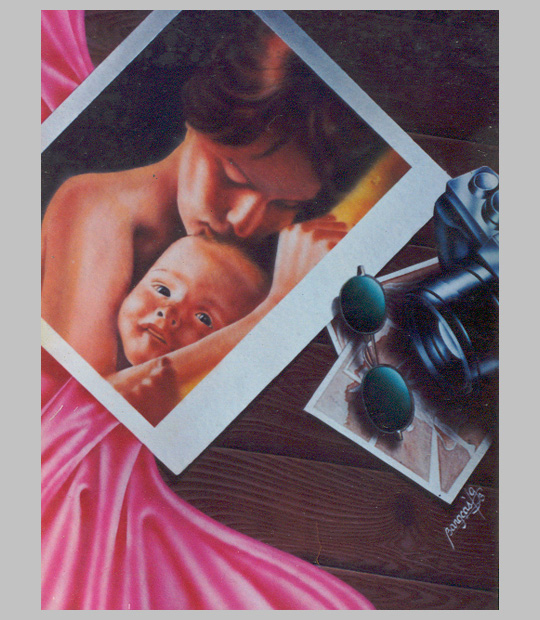 9" x 12", opaque watercolor on vellum, January 1989. Another example of my teen-age obsession for jet fighters. I did this when I was still in high school for Roy Tomare, a classmate whose dad was one of the first pilots to train in the F-5E Tiger II in California for the Philippine Air Force. He offered to pay me for this but in the end I liked it too much to let it go. I took a photo instead of the artwork and gave him a glossy 8" x 10" copy in exchange for a couple of Air Force patches--funny high school boys' stuff! BMW Concept Car. 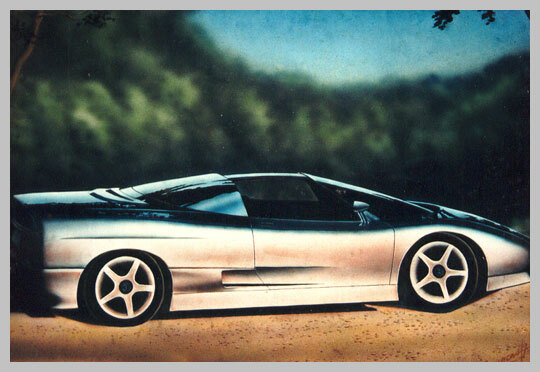 15" x 20", airbrushed poster color on bristol board, February 1993. I did this in just over two hours because I was cramming for the submission date the following morning. Hand-painted black details took more than an hour; frisket-masking for another half-hour; and hurriedly-done airbrush tinting in less than 20 minutes! Color pencils finished-off the details in the door, the tree in the foreground, and the pebbles on the road. Mother and Child. 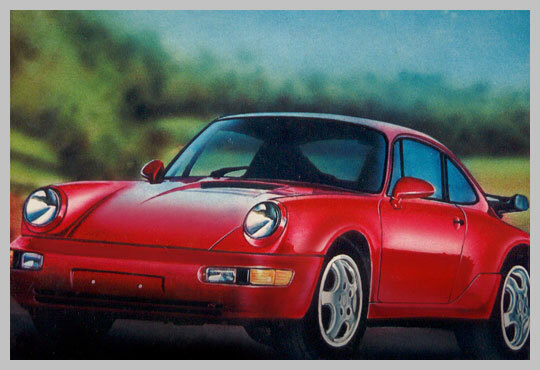 15" x 20", airbrushed poster color on bristol board, January 1993. This was my first attempt in using the airbrush on an artwork. I was barely able to control it and I consider this work as half-successful even though it looks all right generally. Mercedes Le Mans. 15" x 20", hand painted poster color on bristol board, September 1992. 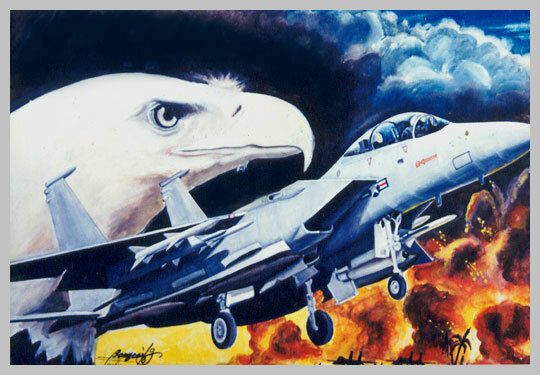 The amount of detail I was able to execute in this artwork was a carryover from my high school years when I used to paint jet fighters with realistic detail. Tyrant Album Cover. 30" x 40", hand painted poster color on bristol board, October 1993. 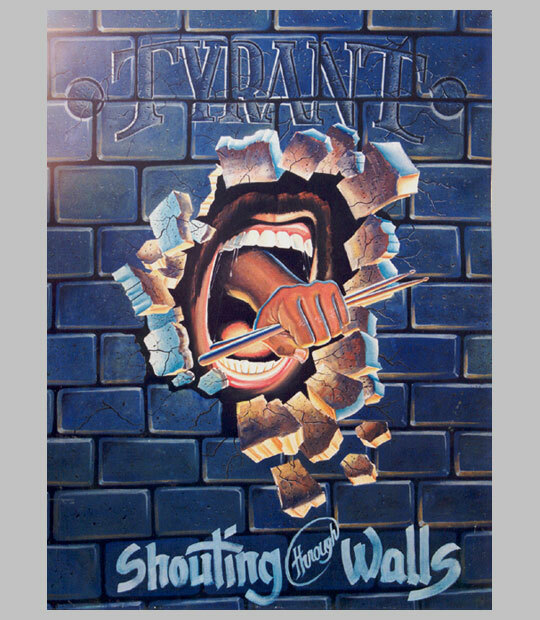 I made an album cover art design for my band Tyrant's newly-recorded single Shouting Through Walls, which was being regularly played in radio stations that year. Funny thing happened to this artwork because it won Second Place in the Album Cover Art Category of our university's 1994 exhibit. What made it funny? It placed second to an exact copy of a Joey Ayala album cover, which came out in 1993. To non-Filipinos, Joey Ayala is a famous recording artist here in the Philippines. The judges were too dumb to notice the obvious plagiarism but I never complained because I already won a gold medal for the Royal Salute illustration in another category (the full-color version, below). 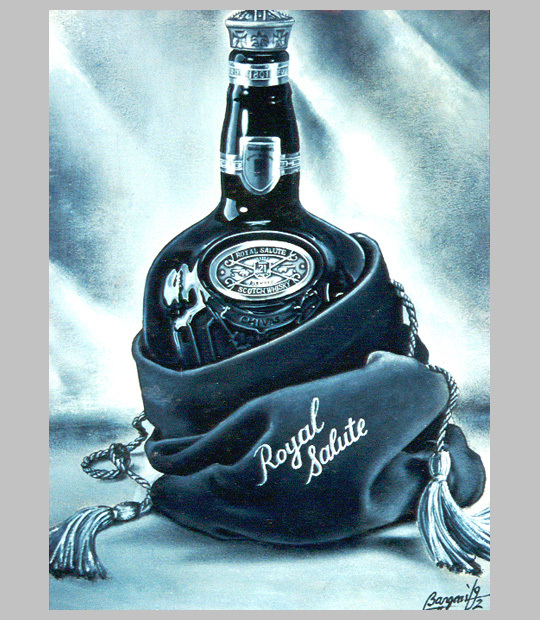 Royal Salute Black and White. 10" x 15", hand painted poster color on bristol board, October 1992. This was for a project in Basic Illustration in art school. 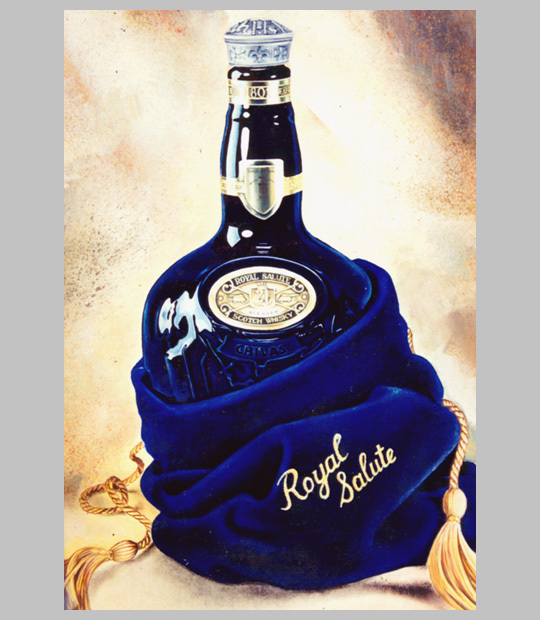 Royal Salute Full-Color. 15" x 20", hand painted poster color on bristol board, September 1993. I really liked this image of the bottle a lot because of the different textures and glass details--it was a challenge waiting to be executed. The year before I had already done it but I was not satisfied with my black-and-white rendition of it so I did a much bigger version in full color and submitted it to the same teacher a year after in Advanced Illustration. You guessed it, I aced that class that semester--as I aced the previous class with the former grayscale version of that wine bottle. This also won me 1st Place in 1994 for Best in Illustration during my school's annual exhibit.